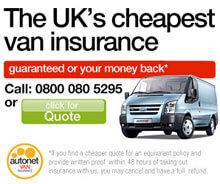 Stoke Vans are able to give very comptitive rates on any vehicle due to our extensive network of industry contacts. So whether you are looking to either Part Exchange or simply sell your vehicle, then don't accpet any offer until you have spoken to us. We have a dedicated team of vehicle valuation experts ready to give you an up-to-the-minute market value of your van. Please contact one of our Sales Consultants on 01782 566939 or complete our valuation form below.